The Son of God overturns every human scheme: it is not the disciples who washed the feet of the Lord, but the Lord who washed the feet of the disciples. This is a cause for scandal and disbelief, not only in that era, in every age, even today ". Francis also jokingly refers to the world cup. "I see Brazilian flags - he said. Take courage - he added - there is always next time! ". Vatican City (AsiaNews) - "God does not conform to prejudices" that "prevent us from grasping reality", but "invites us to adopt an attitude of humble listening and docile waiting, because the grace of God often presents itself to us in surprising ways that do not correspond to our expectations ". This is what the attitude of the inhabitants of Nazareth before Jesus shows, when he returns to his native land, in today’s Gospel of Mark (cf. Mk 6: 1-6), commented on by Pope Francis at the Angelus. 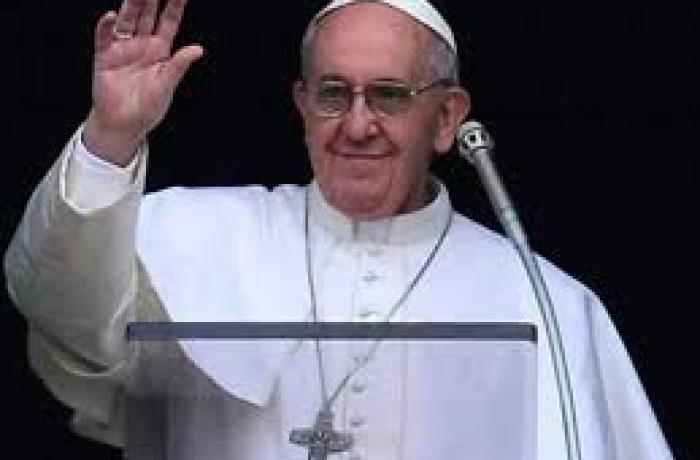 To the 20 thousand people present in St. Peter's Square for the Marian prayer, Francis also recalled the "special day of prayer and reflection for peace" in the Middle East, celebrated yesterday in Bari and today's "Sunday of the Sea", dedicated to seafarers and fishermen. "I pray - he said - for them and their families, as well as for the chaplains and volunteers of the Apostleship of the Sea. A special thought for those who live undignified work conditions at sea; as well as for those who are committed to freeing the seas from pollution". 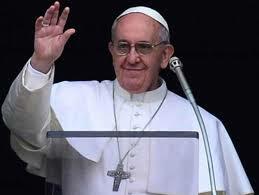 Earlier, speaking of the return of Jesus to Nazareth, Francis had pointed out that "since he had left and had begun to preach on neighboring towns and villages, he had not set foot in his homeland. Therefore, there will have been the whole country to listen to this son of the people, whose fame as a wise master and powerful healer was now spreading through Galilee and beyond. But what could be considered a success, turned into a resounding rejection, to the point that Jesus could not work any prodigy there, but only a few healings (see verse 5). The dynamics of that day is reconstructed in detail by the evangelist Mark: the people of Nazareth first listen, and remain amazed; then wonders perplexed: "where do these things come from", this wisdom ? ; and in the end is scandalized, recognizing in him the carpenter, the son of Mary, whom they saw growing up (verses 2-3). Therefore Jesus concludes with the expression that has become proverbial: "For the prophet is always despised in his homeland" (v. 4) ". "We ask ourselves: why do the fellow citizens of Jesus go from marvel to disbelief? They compare the humble origin of Jesus and his current capacities: he is a carpenter, he has not studied, yet he preaches better than the scribes and works miracles. And instead of opening up to reality, they are scandalized. According to the inhabitants of Nazareth, God is too great to lower himself to talk through such a simple man! It is the scandal of incarnation: the disconcerting event of a God made flesh, who thinks with a human mind, works and acts with human hands, loves with a human heart, a God who struggles, eats and sleeps like one of us. The Son of God overturns every human scheme: it is not the disciples who have washed the feet of the Lord, but the Lord who has washed the feet of the disciples (cf. Jn 13: 1-20). This is a cause for scandal and disbelief, not only in that era, in every age, even today ". "The overturning of the order by Jesus commits his disciples of yesterday and today to a personal and community questioning. In our day, in fact, we may often feed prejudices that prevent us from grasping reality. But the Lord invites us to adopt an attitude of humble listening and docile waiting, because the grace of God often presents itself to us in surprising ways, which do not correspond to our expectations. Let's think together of Mother Teresa of Calcutta. A tiny little girl, nobody gave ten lire to her who went out into the streets to take up the dying. " "Yet this nun has done wonders". "God does not conform to prejudices. We must strive to open the heart and mind, to welcome the divine reality that comes to meet us. It is about having faith: lack of faith is an obstacle to God's grace. Many baptized live as if Christ did not exist: the gestures and signs of faith are repeated, but they do not correspond to a real adhesion to the person of Jesus and to his Gospel. Every Christian, however, each of us is called to deepen this fundamental belonging, trying to witness it with a coherent conduct of life, whose guiding thread will always be charity. We ask the Lord, through the intercession of the Virgin Mary, to dissolve the hardness of hearts and the narrowness of minds, so we are open to His grace, to His truth and His mission of goodness and mercy, which is addressed to all, without any exclusion". And finally, a joke referring to the soccer world cup. "I see Brazilian flags” - he said. “Take courage - he added - there is always next time! ".